“Logarusic is a keen admirer of Sserunkuma and he has requested that we move with speed to acquire his services. Everybody knows potential and threats posed by Sserunkuma and we will open discussions with his agent for a possible move. 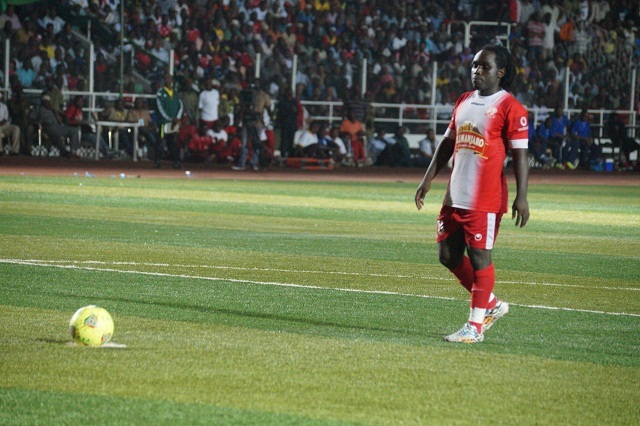 Sserunkuma recently parted ways with Simba after falling out with club officials and not being able to get playing time. Interestingly, at the start of the 2013 season Logarusic often left Sserunkuma on the bench, instead preferring Kiongera and Rama Salim to partner upfront. For many Gor Mahia fans, watching Sserunkuma play for their rivals will be difficult. Some have said that Gor Mahia already has enough strikers. The truth is that Gor Mahia only has two in form strikers and if one is injured or away on international duty, the club is left blunt upfront as happened this past weekend against Stima. Please bring this man back home, AFC in their belligerent form as usual; they already have Loga, Kasaya, Iddi, Wanyonyi, given to them for free and even followed us with the MPesa pay bill number. Is there anything they will find without Kogalo discovering for them first? They say the faint heart never won a fair lady. Here is a broke lad day dreaming about marrying the Kings daughter. Fairytale stuff indeed. AFC are obviously relying on mere “sweet words/empty promised” to lure Dan “Flava” Serenkuma coz they don’t money to pay him. “Flava” remember east or west home is best. Karibu back home to K’galo.